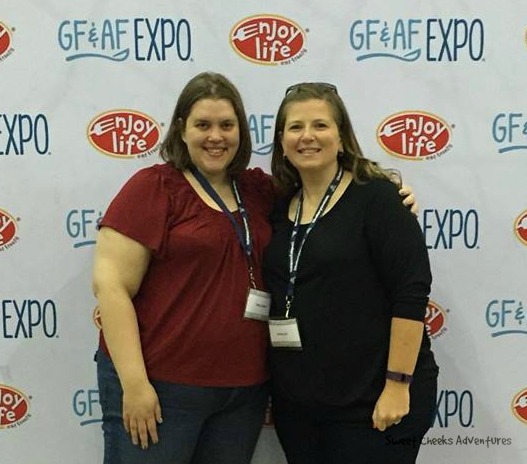 A few days back, I had the pleasure of attending the Gluten Free & Allergen Free Expo in Atlanta, GA. What a great time! I was looking forward to attending the expo with so many great companies and products to learn about. 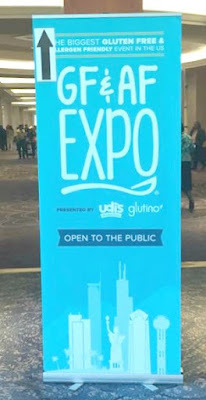 The Expo was April 2 and 3 at the beautiful Cobb Galleria Centre. We started the day by meeting the other bloggers in attendance. Be sure to take a look at a few of them. My good friend, Misty from Mysterious Ramblings was in attendance. She added to the large amount of fun I was already having! Always take a friend. Expos are great but so great with friends! Entering the Expo, I was sure to take everything in. Vendors, samples, all Gluten Free products, I may have been in heaven. Samples that I could test out and I didn't have to worry about my reaction to them. At one point I did pull my hand back when I was offered a very delicious looking pasta from Marcellos. What a relief it was to be able to try the pasta and enjoy it. A few of my favorite stops were Spinato's, ardennefarm, Enjoy Life, Glutino, and Ronzoni. Oh the cookies from ardennefarm! Delicious and soft. They sent a sample home with me, so be sure to watch for a review coming soon. 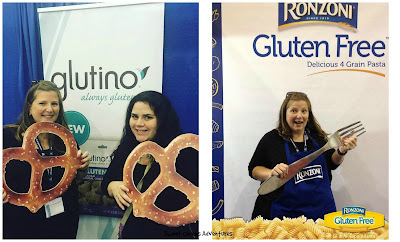 I had a great time at the Gluten Free & Allergen Free Expo this year. I am looking forward to attending again next year and sharing these great brands with you as the year passes. Hope to see you there! Disclaimer: I received admission to the Gluten Free & Allergen Free Expo as part of the press. All opinions, photos and experiences are my own. It was really nice meeting you, and I had a blast going around the Expo with you. Hope you cna make it down next year!